Several dozen youths, young adults and parents gathered on Oct. 12 to witness to the goodness of life outside the Planned Parenthood abortion facility in Indianapolis. 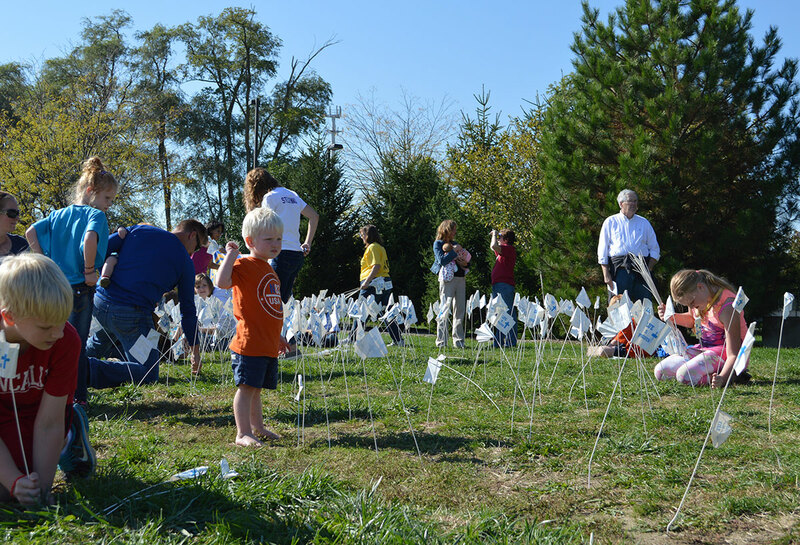 The occasion was a mid-point rally for this year’s fall campaign of “40 Days for Life.” Rally participants have prayed daily outside the abortion facility at 8590 Georgetown Road since the campaign started on Sept. 25. Ron Kramer, a member of Nativity of Our Lord Jesus Christ Parish in Indianapolis, is a “40 Days for Life” organizer. He appreciates the ecumenical nature of the campaign. The ecumenical nature of “40 Days for Life” was highlighted during the rally by one of its keynote speakers, Rev. Brandon Sutton, pastor of Blue Ride Christian Union Church in Shelby County. Sutton said that when he was invited to speak, he felt an obligation to do so. Also speaking at the rally was Rynelle Castellino, a junior at Cathedral High School and a member of St. Matthew the Apostle Parish, both in Indianapolis. Earlier this year, Rynelle won the 2013 Indianapolis Right to Life Speech Contest. She spoke about her pro-life convictions on Sept. 17 before more than 1,000 people at the pro-life organization’s annual fundraising dinner. The crowd and setting for her speech at the Oct. 12 rally was a big contrast. Speaking in front of people outside an abortion facility and on a busy city street was important for Rynelle. 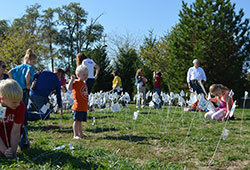 At the end of the rally, a group of young children placed in the ground some 4,000 flags held in two large planters that represent the number of surgical abortions that take place each working day every year in the United States. Kramer was emotional when he recalled the moment. He said the simple action by the children spoke a powerful message for him, and hopefully for the motorists driving up and down the busy Georgetown Road.